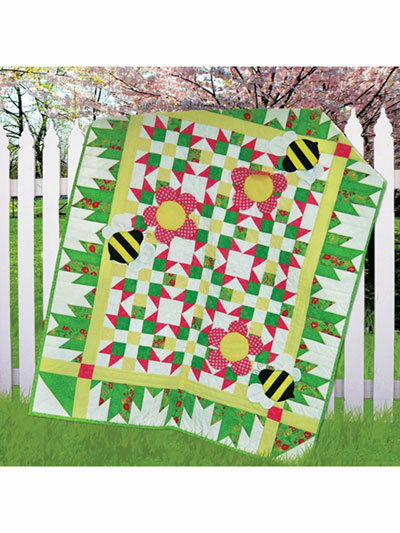 This quilt is the bee’s knees! 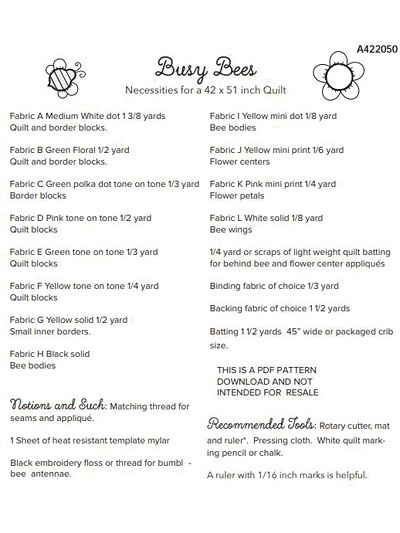 This bumblebee applique quilt for Baby may look complex, but it goes together oh-so easily, with detailed and easy-to-follow instructions. Pattern includes applique templates. 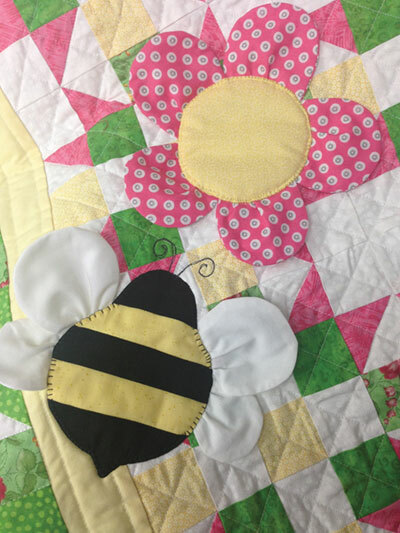 The bee wings and flower petals are dimensional and add charm to this adorable quilt. Finished measurements: 42" x 51". Design by Deb Grogan of The Quilt Factory.